We’re closing in on Valentines Day and a little tale of love lost and found is in order. Jocasta – An exotic beauty lost and lonely with no place in this world to call her own. She has rejected Ultron and is desperately looking for a new love, no matter how impossible this may seem. Ultron – The dastardly evil creator of Jocasta. He wants her to be by his side as a pawn and plaything while he destroys the world. He must possess her or no one will! 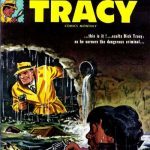 Machine Man – AKA Aaron Stack insurance investigator, and dashing man about town. 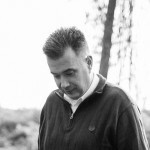 He too is looking for love – will he find it in the arms of our femme fatale Jocasta?? 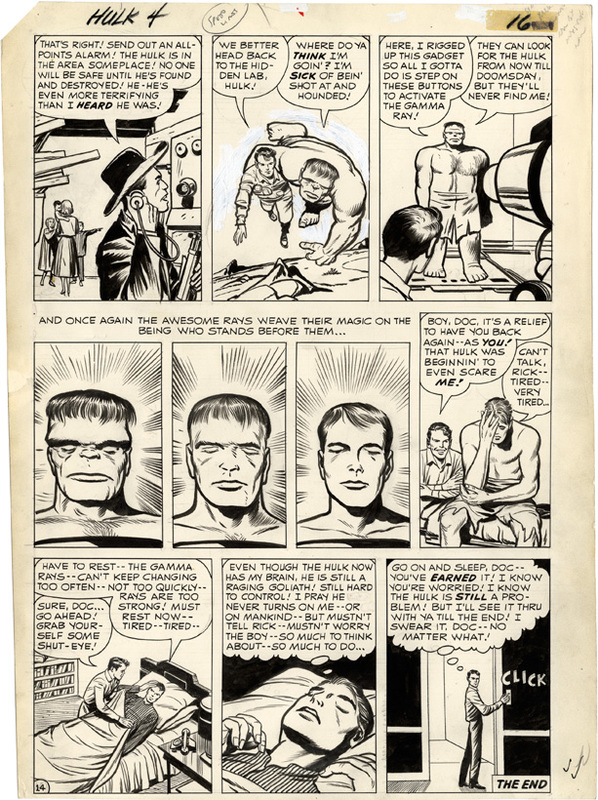 The Thing – AKA Benjamin Grimm an erstwhile member of the Fantastic 4. He is already in a rock solid relationship with the lovely Alicia Masters (and himself). He hosts this love story in his own book and is a good buddy and wing man for Machine Man. Ron Wilson art for both of our stories in Marvel Two –In One. Inking provided by A.Sorted and D. Hands – very cute. 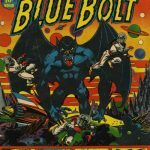 Tom Defalco writes our story. The Thing has arrived at the airport after his battle last issue with the Sphinx. He is in a hurry to get back to his girlfriend Alicia. Meanwhile a group of thugs find Jocasta in a back alley. She uses some of her power to fend them off, but is clearly troubled and leaves to seek help. Ben arrives at the Baxter building and finds Alicia, Reed Richards, and Jocasta. Jocasta has been having difficulty with her programming; she needs help and feels as if she has been abandoned by the Avengers. 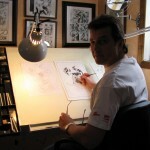 The FF offer sanctuary. Jocasta and Alicia hit it off and Alicia takes her to her latest sculpture exhibit. Reed Richards calls the Avengers to get the low down on Jocasta and Ultron. The Thing is left with settling a claim with FF’s insurance company. It is Delmar insurance, workplace of Aaron Stack (Machine Man). Back at the exhibit Jocasta suddenly gets a huge headache, goes berserk, and leaves smashing through the building. Jocasta has been summoned via programming planted by her creator Ultron. With help from Ultron she frees him from his adamantium prison. Alicia calls Ben at the insurance company and tells him about Jocasta. Machine Man is intrigued by a female robot and decides to check this out for himself. He arrives at Ultrons old base, and finds Ultron slapping Jocasta around and attacks. They have a pretty good battle until Ultron gets a hold of one of Machine Mans extended legs and busts it. He is about to deliver a killing blow when the Thing arrives to save the day. 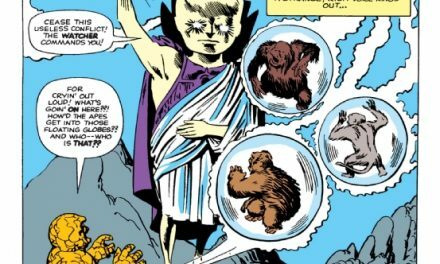 The Thing pounds on Ultron who resorts to one of his old tricks and hypnotizes him. Ultron orders the Thing to destroy Machine Man, an order he intends to carry out as this issue comes to and end. We met Ultron in our last Arcs and Runs and his demeanour hasn’t improved over the years. 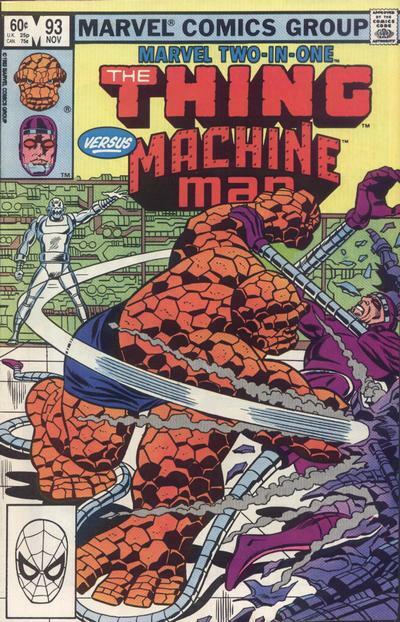 The Thing is under Ultron’s control and savagely attacks the prone Machine Man. 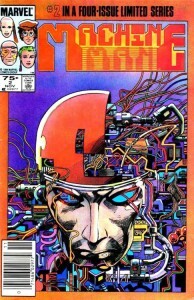 Machine Man is one clever guy and uses his own body as a conduit to electrify and stun the Thing. Next he gets Ultron out of the way with a magnetic energy field. Desperate to get away he grabs Jocasta, swipes the The Things scooter and they head to Gears Garvin’s fix anything garage. Gears goes to work on Machine Man and Jocasta quickly gives a re-cap of her history with Ultron. She believes Ultron is unbeatable; Machine Man takes her in his arms and promises to defeat him. Meanwhile Ultron has been busy building an army of Ultron clones with the assistance of the mind controlled Thing. Back at the repair shop Machine Man and Jocasta are discussing the possibilities for her and them in this world. Machine Man is slowing making her think all is not lost. She mentally connects with Ultron’s whereabouts and the three of them (Gears too) set off to fight the impossible fight. They arrive at Ultron’s lair, which is of coarse set with traps. Machine Man and Gears fight off missiles and the still mind controlled Thing, while Ultron meets with Jocasta and tries to convince her to join him by his side. She tells him she cannot and edges ever closer to Ultron, until she is right in front of him and she activates Ultron’s power cannon. It overloads and explodes only stunning Ultron and his adamantium shell, but blows Jocasta to bits. She’s gone. An enraged Machine Man and his back to his old self Thing attack Ultron. They have him down but he is about to activate the Ultron clones. 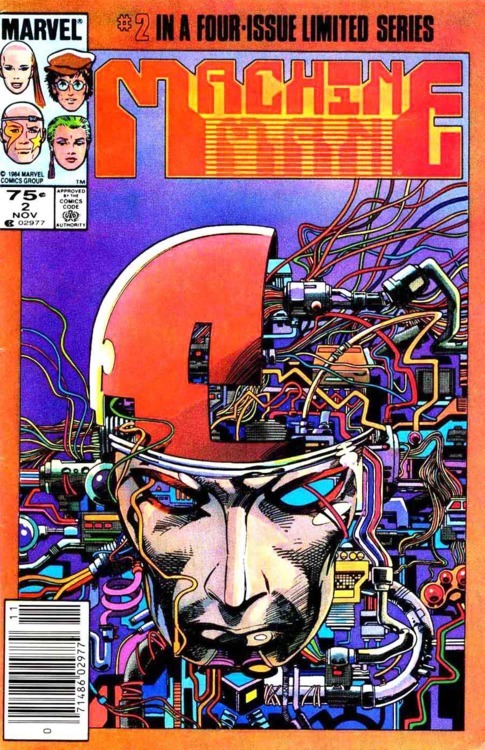 Machine Man takes a desperate gamble to stop him and extends his arm through Ultron’s mouth, down his throat and tears out some of his internal circuitry. There is going to be an explosion but Ultron’s adamantium shell that protected him from Jocasta’s bomb will now protect our gang from the explosion. Ultron pleads with Machine Man to save him and he will intern save and rebuild Jocasta. Too late and Machine Man ignores his plea. Machine holds the broken Jocasta as this story comes to and end. Well we can’t leave these two “robots” on such a sad note, so we won’t. We’ll move two years forward in our time to 1984. We will be moving many years into the future, to September 23 2020 to be exact and the start of Machine Man’s futuristic mini-series. The “Players” will be introduced as we go along in this part of the story. 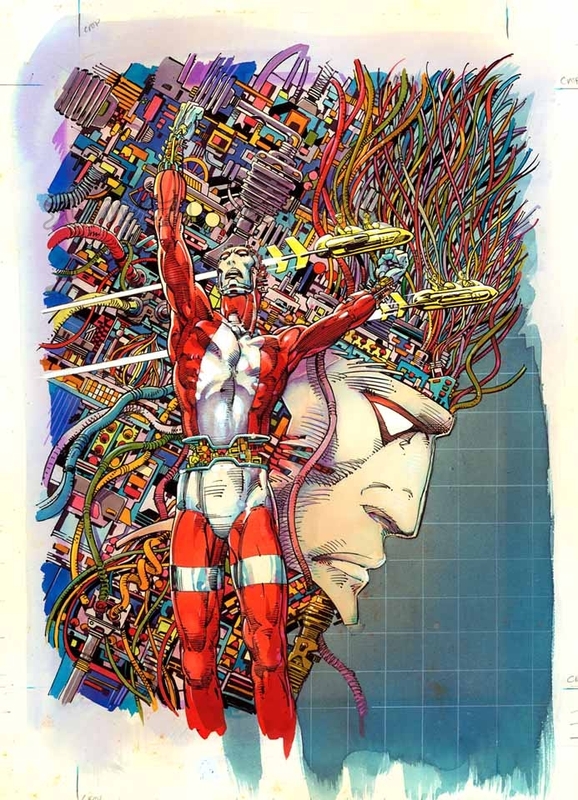 Artist Barry Windsor Smith assisted or sabotaged (your choice) by Herb Trimpe take care of the art chores. 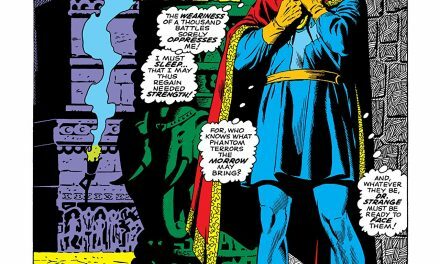 Tom Defalco is back with the story with contributions from BWS on issue #4. Our tale begins in a futuristic Baintronics dump in New York city. A cylinder marked “danger priority red” has been found in the dump by a group of scavengers. There names are Brain, Swift, Hassle, and Slick. They look like extras from a Mad Max movie or they are heading to a Killing Joke concert. They are rummaging through the cylinder and find a metal face. It is Machine Man’s face. Just about then they are attacked by “bainies” a combination of real people and robots bent on arresting them for trespassing. A battle ensues and we soon learn the four “Midnight Wreckers” are quite capable of handling themselves in a fight. They escape leaving behind part of the cylinder. The part cylinder is taken to Baintronics headquarters. We meet the owner. It is a much older Sunset Bain formerly know as Madame Menace from Machine Man’s old series Issue 15. She wants the contents of the cylinder returned immediately and sends her lackeys to get it – at any cost. Sunset Bain is over 70 years old now but still wants to look 30 (some things don’t change). She’s upset and an unseen companion knows it. Sunset doesn’t elaborate on her concern only to say the cylinder contained a memento from the distant past. The Midnight Wreckers are busy re-assembling Machine Man and do. Machine Man gives a brief re-cap of his history, his friends, and enemies. Just about then Sunset Bain’s robots attack lead by a C29 Death Dealer. There is a prolonged battle and we get to see Machine Man in full fighting form. The Midnight Wreckers and Machine Man escape headed for a place called” Sanctuary” (can anyone say Logan’s Run). The bainies return and fill in Sunset Bain on their failed mission and the new robot. She is talking aloud in disbelief at the thought that Machine Man has risen from the grave to haunt her and her companion……Jocasta! 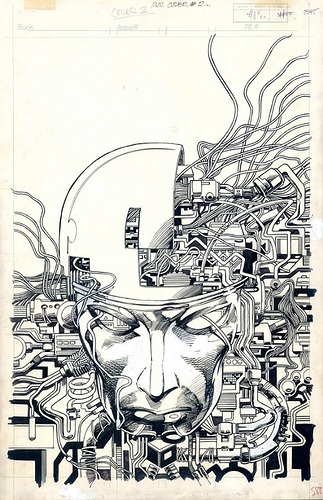 Machine Man issue 2 cover by Barry Windsor-Smith. Source. The Midnight Wreckers and Machine Man are on there way to “Sanctuary” and are attacked by more banies. They escape again only they lose there aircraft in the process and head to the subway. Meanwhile back at Baintronics central Jocasta and Sunset Bain are discussing Machine Man. 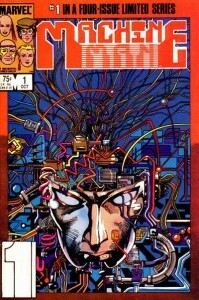 Sunset Bain believes her life is now in mortal danger as it was she who de-activated Machine Man over 30 years ago. 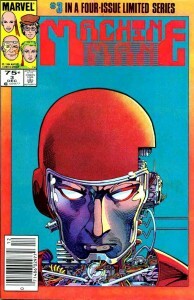 Their conversation is interrupted by another old enemy of Machine Man, Ambassador Miles Brickman, who is also is upset with the return of Machine Man. Sunset Bain has a plan to deal with MM. she is hiring a specialist named Arno to “deal” with the problem. The Midnight Wreckers and MM are busy trying to arrange alternative transportation underground when they are once again attacked by the very persistent bainies. They get away however “Hassle” is captured and taken to Baintronics for interrogation. Machine Man wants to save her and is so persistent Brain puts a “scrambler” on him to make him calmer and easier to handle. 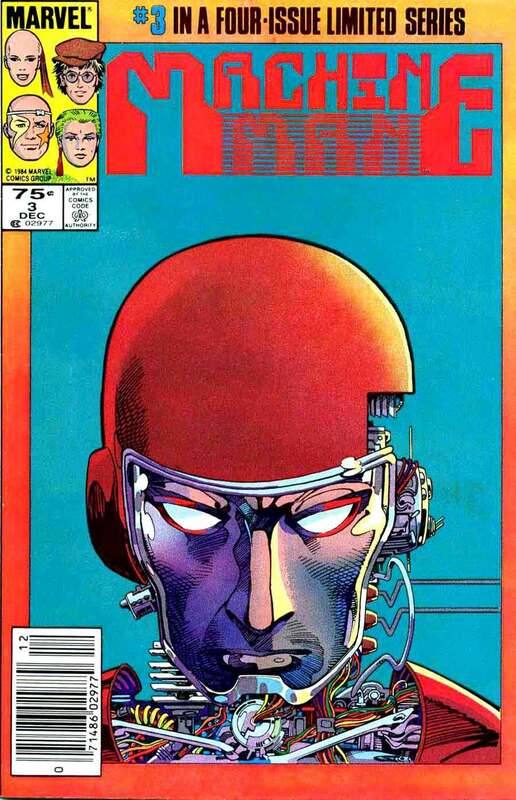 Machine Man ends up speaking “old commercials” for the rest of this issue. Pretty funny stuff. Hassle is tortured by Dr. Cyclobe but does not give her friends up. She is allowed to escape in hopes that she will lead Sunset and her mercenaries to Sanctuary and Machine Man. The rest the team are already in Canada and looking for Sanctuary headquarters. They are captured in a old fashioned net by a group of people who look a lot like them. Finally we break away to Stark International. 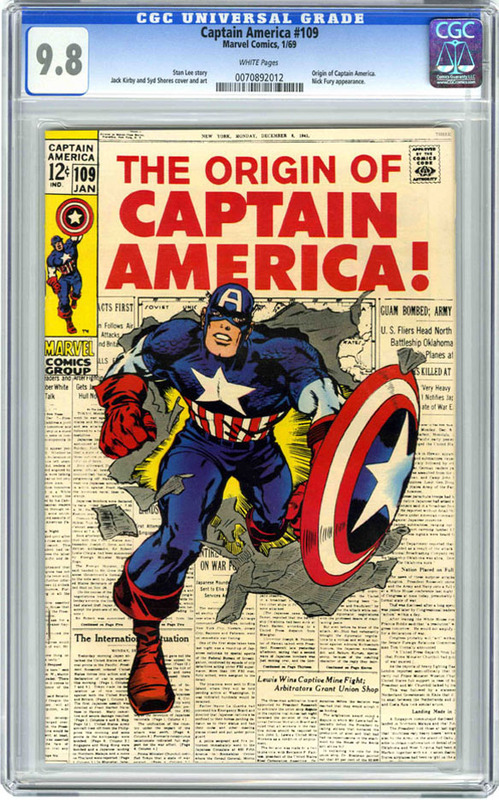 “Arno” turns out to be Arno Stark and the final page of this issue is a full page first appearance of IRON MAN 2020!! 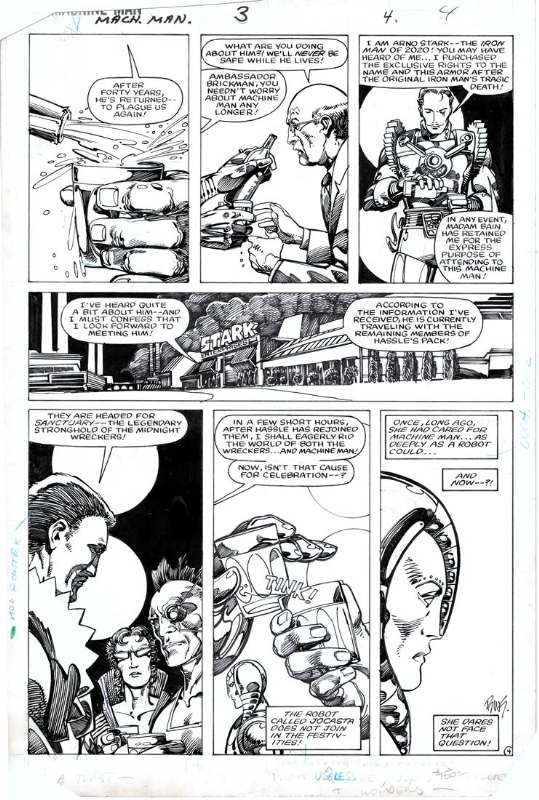 Machine Man issue 3 page 4 by Herb Trimpe and Barry Windsor-Smith. Source. 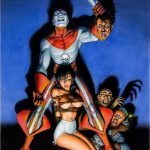 Hassle has “escaped” Baintronics not knowing she is leading Arno Stark the Iron Man of 2020 directly to Sanctuary. Sunset Bain, Dr. Cyclobe, Iron Man 2020, and Ambassador Brickman are celebrating the imminent destruction of the Midnight Wreckers and Machine Man. Jocasta says nothing. 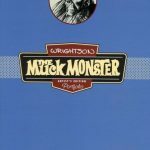 Back in Canada the Midnight Wreckers and Machine Man are whisked away in their net by flying motorcycles to the sky. Sanctuary turns out to be in the clouds! Time for another surprise the Ancient Wrecker turns out to be Machine Man’s old buddy Gears Garvin the man who raised scavenging to an art form! Gears fills Machine Man in on the missing years. How they were working on Jocasta together with another Machine Man friend Peter Spaulding trying to revive her. One night when Gears was out the garage was ran sacked, Peter was killed and Machine Man and Jocasta were gone. Baintronics emerged shortly there after; Gears went in to hiding always hoping Machine Man would return. Just then Hassle returns to Sanctuary. Iron Man 2020 and the bainies are not far behind. Gears and the Wreckers take on the banies and Machine Man gets to battle with Iron Man 2020. It’s a short tough battle with Iron Man 2020 but it’s only the first round. Machine Man gets back to the ship and saves it from crashing. Exhausted Machine Man has had enough. No more chasing – he is going to take the war to Baintronics and Sunset Bain herself as this issue comes to a close. The finale. The Midnight Wreckers are trying to convince Machine Man that a direct attack on Baintronics is insane when Hassle drops the Jocasta bomb. Hassle reveals to Machine Man that a robot named Jocasta accompanies Sunset Bain and she had saved her life while in Sunset’s custody. Discussion over –there is nothing that will stop Machine Man now. He hops a cycle and heads to Baintronics. The Wreckers and Gears Garvin follow. Machine Man hopes to talk sense with Sunset Bain but she is having none of it. She sends thirty soldiers out to kill him and they end up being fried by Slick. Gears and the rest of the Wreckers take on Sunsets reinforcements. Machine Man smashes his cycle into the building and attempts to reason with Sunset. No dice. She locks him in a room with Iron Man 2020 and orders Arno to complete his contract and kill Machine Man. The battle rages and when Machine Man gets the upper hand Sunset Bain intervenes and sticks two live broken electrical cables in the back of Machine Man’ head. This only slows him down. He continues to fight and eventually completely trashes Iron Man 2020. Ambassador Brinkman has seen enough. He has been sinking drinks like it was his last day on earth and with a self directed bullet to the brain he turns ought to be correct. There is only Sunset left for Machine Man to deal with. Is he going to kill her? Sunset thinks so and just before it may happen Jocasta arrives to diffuse the situation. The police arrive and the Wreckers and Machine Man must leave. Jocasta and Machine Man take a moment to talk while panic and chaos surround them. Jocasta is staying with Sunset Bain if only to ensure she keeps her word and doesn’t bother Machine Man again. They leave each other with a hope of getting back together some day. 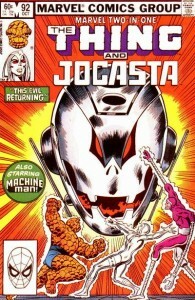 Jocasta provides the Wreckers and Machine Man with the means to escape. They leave heading east – the sun will not set on Machine Man today. 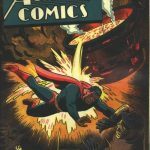 We leave this story with hope that Machine Man and Jocasta will find a way to get together. After all Sunset Bain can’t live forever (the old battle axe). 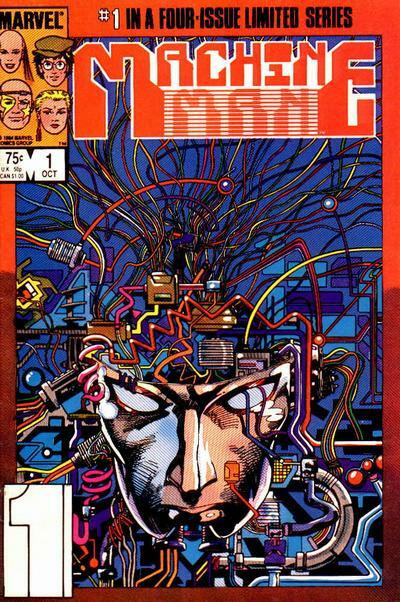 Machine Man TPB cover by Barry Windsor-Smith. Source. 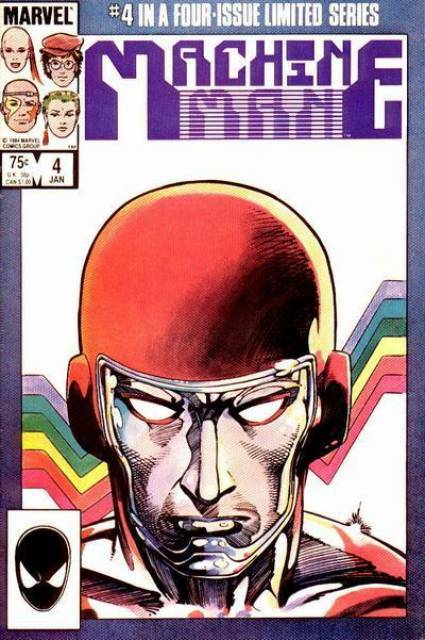 I’m a big fan of Machine Man and in particular this four issue mini-series. Barry Windsor Smith does wonderful work here and Tom Defalco stories are sound. I can recommend all six issues in this story and the best part of it is they can usually be found in the bargain bins of your local comic shop. Overstreet 9.2 is $4-5 and they are found in the bins for less. It just shows you quality work isn’t always found on the walls and at high prices, although I have always been mystified why the Machine Man series doesn’t have the demand and higher prices. A bargain for us! Take care of your loved ones and have a Happy Valentines Day! Thanks Charlie. 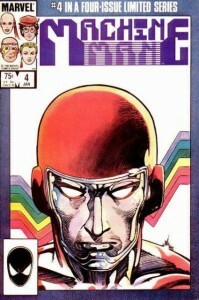 Great little series and Machine Man has always been a favourite. Scary how the Iron Man of 2020 keeps getting closer to real time, it seemed so far away when these books came out!